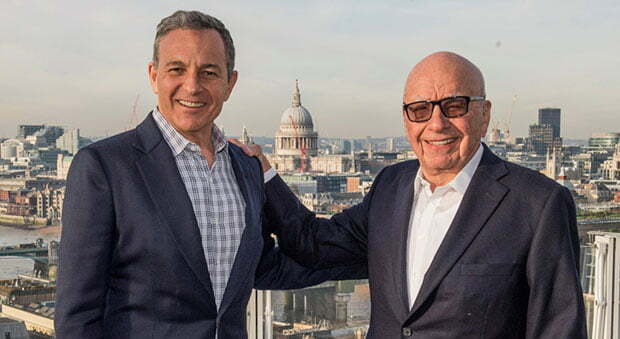 The Walt Disney Company has closed its acquisition of assets belonging to 21st Century Fox, marking an “extraordinary and historic moment” for the media giant, according to CEO Bob Iger. The US$71bn deal, which emerged in late in 2017, was completed at 00.02 Eastern Time today. Comcast dropped out of the running for 21st Century Fox in mid-2018, clearing the way for the takeover by Disney. As well as Fox’s film production businesses, the acquisition includes its television creative units Twentieth Century Fox Television, FX Productions and Fox21; FX Networks; National Geographic Partners; Fox Networks Group International; Star India; and Fox’s interests in Hulu, Tata Sky and Endemol Shine Group. The latter is reportedly back up for sale after numerous potential buyers circled it last year, with Banijay Group said to be among the companies in the running for the Big Brother and Peaky Blinders firm. Disney has made a number of significant management changes ahead of the completion of the deal, alongside a restructuring of its international arm. These include ESPN+ for sports fans, the Disney+ streaming service launching in late 2019, and Disney and 21st Century Fox’s combined stake in Hulu. “This is an extraordinary and historic moment for us – one that will create significant long-term value for our company and our shareholders,” said Iger, chairman and CEO of The Walt Disney Company. Meanwhile, newly formed outfit Fox has begun its first week as a standalone company by appointing Anne Dias, Chase Carey, Roland A Hernandez and Paul Ryan, former speaker of the US House of Representatives, to its board of directors. They join previously announced members Rupert Murdoch, Jacques Nasser and Lachlan Murdoch, Fox’s chairman and CEO, at the news, sports and entertainment-focused company.